Perfect for parties, catered events, wedding receptions and so much more, this 6 oz clear champagne glass from GET comes at a great value that will last you use after use. 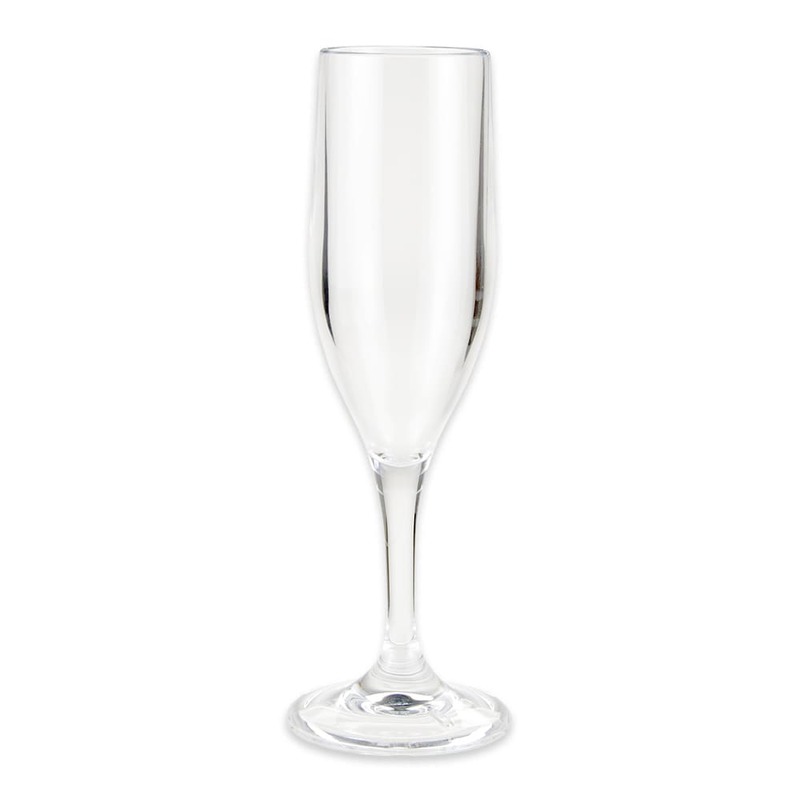 Constructed of a clear SAN plastic, this 6 oz champagne glass is a server and bar tenders best friend because it can resist slips and falls and still look fabulous. The 8" height and 6 oz capacity make it ideal for standard bar application and comfortable to hold. 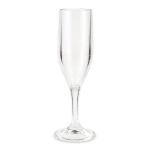 Break less and replace less when you invest in this 6 oz clear SAN plastic champagne glass! 6 oz champagne glass. Stands 8" in height and are packed 2 dozen to the case. SAN Plastic.